This "dream team" of 30 elite industry leaders will meet together New York City 25 - 29 April to select the World's Best Advertising award-winners across all mediums and the entry that will earn the World's Best Idea Award. Additional Executive Jury appointments are forthcoming. The 2014 Executive Jury will be moderated by Rance Crain, President, Crain Communications & Ad Age Editor-in-Chief. 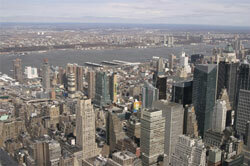 The 2014 New York Show events will take place on May 1st and will feature creative panel discussions, keynote speakers, networking events, the awards ceremony, and an after-party to honor the winners. All New York Show events, and the 2014 awards ceremony, will be held at the New York Public Library's Beaux-Arts landmark Stephen A. Schwarzman building located at 455 Fifth Avenue in New York City. This year's award-winning entries will receive New York Festivals trophies created by Sagmeister & Walsh and inspired by New York's Art Deco skyscrapers. NYF's International Advertising Awards is recognised worldwide as a touchstone for global creative excellence in advertising and marketing communications. 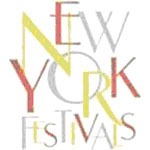 Since 1957, NYF has received entries from over 100 countries in all media in the following competitions: Avant-Garde, Branded Entertainment, Collateral & Direct, Creative Effectiveness, Design, Digital, Film & Film Craft, Integrated, Outdoor, Print, Public Relations, Public Service, Radio, and Student. The 2014 extended Deadline is February 28th. For more information on the 2014 competitions go to: Rules & Regulations or to enter go to Log In.